Hello Main families, and welcome to our website. I know I speak for the entire staff when I say that I hope your child has a wonderful elementary school experience! Elementary school is a time of change, growth, and exploration. As our students progress from kindergarten through the various grade levels, they encounter and manage new routines and expectations. Students begin learning the fundamentals in core subjects while learning to work with their teacher and classmates on a daily basis. We know that each year there are new responsibilities and with those responsibilities can come new challenges. My goal, and the goal of Main’s staff, is to help your student manage these challenges successfully while offering them the best education possible. Our school has many resources available to aid you. If you find your son or daughter struggling in a class, I encourage you to contact their teacher. I also encourage you to visit the Counselor and Clinic sections of our website to become familiar with the services and materials these staff members offer. Some background about me: My family has deep roots in this community, and Jacob Coy Middle School is actually named after my great, great, great grandfather. I’m also a proud graduate of both Beavercreek High School and Ankeney Middle School, so I know our district well. I began my career at Ankeney Middle School, teaching 7th grade language arts and social studies, before moving to Kentucky in 2000. I taught middle school in Lexington, and also served as an instructional coach, providing staff development and support to teachers. In 2013, I returned home to join the Ankeney Middle School staff as principal. 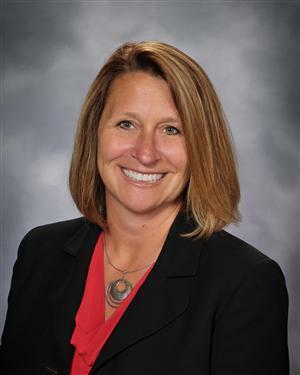 My administrative experience includes three years as associate principal of a middle school, a year as principal of a magnet school, and two years as principal of Ankeney Middle School. I firmly believe that students are best served when parents, teachers, administrators and community work together to support their education. Know that you are welcome to contact me with your ideas or concerns.